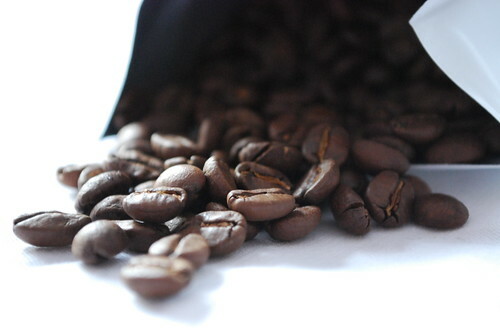 Spilling the beans – that’s right – I want to “spill” the beans on some coffee bean secrets, known to the experts but not to us minions (i.e those who do not know) but of course until now. 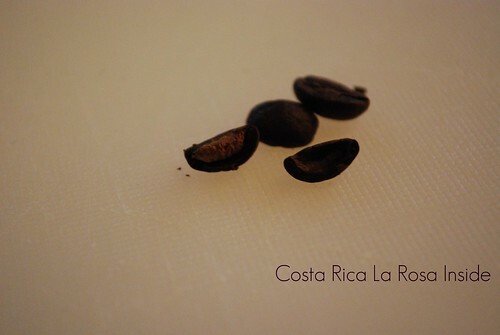 First, don’t be deceived by size – size matters but not in the way you think – La Rosa Costa Rica beans are advertised as low in acidity and are tiny in relation to your normal coffee bean, BUT I was puzzled, when I grounded these beans using the same timer setting on my coffee grinder when more coffee came out. Usually with normal beans, I have to grind two and half times, but with this bean, two times was more than enough. Still puzzled, I tried crushing the beans between my finger tips and found it a bit tough – it was dense all the way through, which means that there was no air – the beans were “full of beans”, tee hee..
Second, still on size, smaller beans like the La Rosa above actually have lower acidity and surprise, surprise, these beans were tagged as “low acidity”. Now in coffee, acidity is actually what you are looking for and these are typical of much prized Central American and Kenyan coffee beans. So, in summary, smaller beans usually have a lower acidity than bigger ones, but of course, there are exceptions. 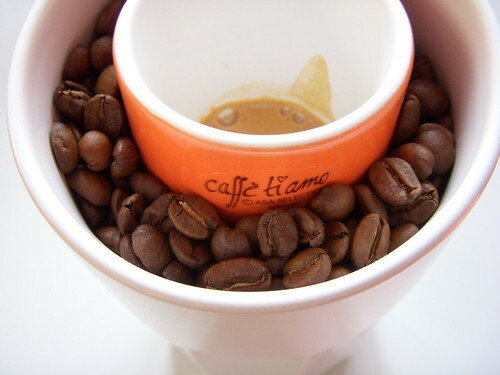 Third, coffee beans even from the same farm don’t necessarily have to be the same size – WHAT !!! Yes ! 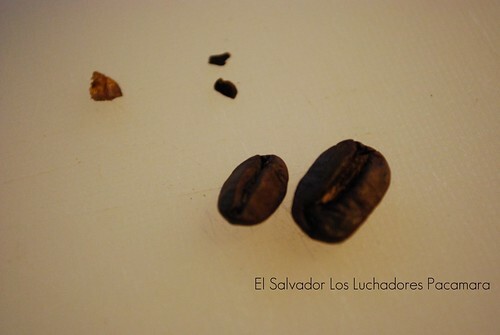 I just found this out when I bought Los Luchadores Pacamara beans from El Salvador, roasted by Square Mile Coffee Roasters of London. I was studying the beans like one does before they grind them and thought, “that’s odd, why are some beans bigger than others ? Have they mixed another set of beans with what I ordered – that’s it I’m calling them to sort this out…”. So I quizzed the roaster, Anette from Square Mile Coffee, and she explained to me that this is normal and one way to test this, is to actually painstakingly separate the larger beans from the smaller ones and take a tasting test – they will taste the same. As she is a WBC Judge, who am I to argue, but to learn. Fourth, and perhaps not that exciting for some of you caffeine junkies, is that when making coffee that needs a longer contact with water, like filter coffee (4 minutes and more) or French Press (4 minutes), you should ideally get a stronger coffee so that you get the real taste, rather then a watered down one. I also have to point out for those of you who have not visited the main website – shame on you – that the longer the bean has contact with water the higher the caffeine content. What does this mean ? Making coffee using a cafetiere/French press or a filter system means more caffeine than for instance making espresso. I just wanted to mention this again, because whenever people see you drinking espresso, they always say “isn’t that really strong ?” But of course I am always glad to explain that it isn’t and they look at me like “really ! are you really into coffee ?” Only if they knew. Beans, beans, beans – there’s so much more to know about you.